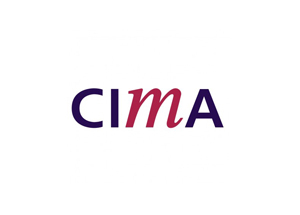 CIMA, founded in 1919, is the world's leading and largest professional body of management accountants, with more than 195,000 members and students operating in 176 countries, working at the heart of business. CIMA members and students work in industry, commerce, the public sector and not-for-profit organisations. CIMA's 195,000 members and students all over the world are all supported by their UK contact centre which takes payment for membership subscriptions, renewals and resources. In order to meet tight deadlines, CIMA needed to engage with a card payment services provider who could help it reduce the Payments Card Industry Data Security Standards (PCI-DSS) audit scope within their contact centre for compliance. Eckoh's PCI DSS compliant services, EckohPAY and CallGuard Hosted prevent cardholder data from entering the contact centre environment. EckohPAY is a real-time automated card payment service, enabling Members and Students to make payments 24 hours a day, seven days a week. The service securely authenticates the caller and guides them through to making a payment. Alternatively, if a caller wishes to make a payment while speaking with a contact centre agent, the agent can verbally guide Members and Students through the payment process using CallGuard Hosted. This screens card information from the agent and prevents it from entering the contact centre environment, whilst card authorisation and settlement for both products is handled in real-time through the Eckoh hosted platform. With the implementation of these services, callers are able to purchase CIMA membership, pay for student registrations, subscriptions, products and services over the phone knowing their details are secure. "We selected Eckoh because of their partner association and level 1 PCI DSS accreditation." said Mie Mun, Head of IT from CIMA. "We take calls from all over the world from our Members and Students and our priority is meeting PCI DSS compliance standards, which this contract will help us achieve. Providing a 24 hour service will undoubtedly make our payment handling more convenient; and offering our Members and Students the choice to pay through our contact centre agents will help to maintain a high level of customer service." We selected Eckoh because of their partner association and level 1 PCI DSS accreditation. We take calls from all over the world from our Members and Students and our priority is meeting PCI DSS compliance standards, which this contract will help us achieve.